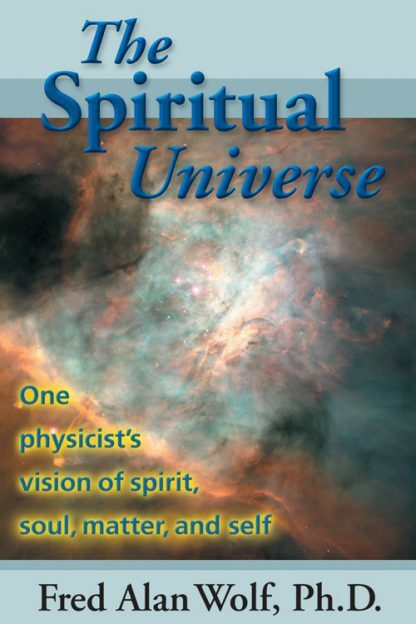 Red Wheel ∕ Weiser Online Bookstore | The Spiritual Universe: One Physicist's Vision of Spirit, Soul, Matter, and Self by Fred Alan Wolf, Ph.D.
Why do we believe in the soul? Does it actually exist? If so, what is it? Does it differ from the self? Is it part of the material world? Does it survive the body after death? In The Spiritual Universe, Fred Alan Wolf brings the most modern perspective of quantum physics to the most ancient questions of religion and philosophy. Taking the reader on a fascinating tour of both Western and Eastern thought, Wolf explains the differing view of the soul in the works of Plato, Aristotle, and St. Thomas; the ancient Egyptian's believe in the nine forms of the soul; the Qabalistic idea of the soul acting in secret to bring spiritual order to a chaotic universe of matter and energy; and the Buddhist vision of a "nonsoul." And, Wolf mounts a defense of the soul against its modern critics who see it as nothing more than the physical body.